Rome is best known for its gorgeous ancient ruins, which are seamlessly incorporated into the day-to-day life of the bustling Italian capital. 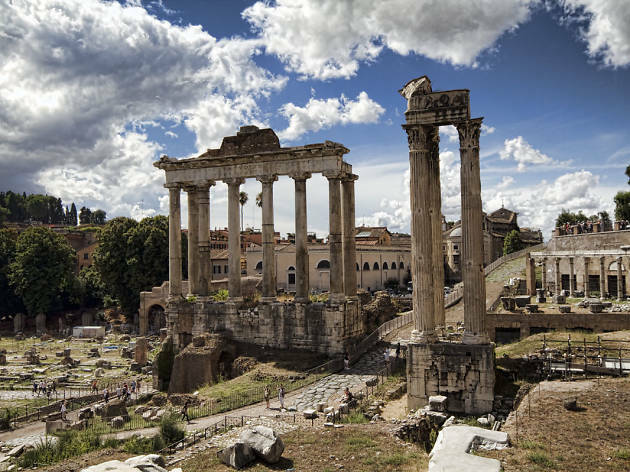 Given the Ancient Romans’ knack for ingenious engineering, it is little wonder that their designs have endured and been reinterpreted in so many forms. But along the cobblestone medieval lanes, with their peeling terracotta patina, there are also modern architectural wonders, stark designs from the Fascist era, and even the occasional art deco façade in the Eternal City’s suburbs—all breathtaking and Instagram-worthy. 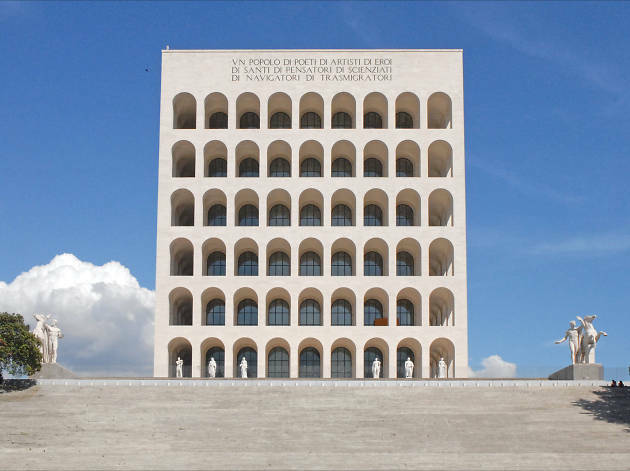 From renowned attractions and monuments to unexpectedly contemporary conceptual designs, add these ten beautiful buildings to your list of things to do in Rome. Rome may have more than 900 churches, but it is St. Peter's Basilica that reigns supreme among them. The Vatican's basilica is the largest and most opulent church in all of Italy, and a list of the artists who helped create the magnificent structure reads like a who’s who of the Renaissance. Inside you will find Michelangelo's Pieta, Bernini’s lavish bronze altar piece and Bramante's distinctive window-lined dome; it’s hard to know where to look first because every inch of the massive church seems to covered in marble and gold. The exterior of the building is no slouch either, with the square on which its sits surrounded by an enormous colonnade topped with 140 statues. 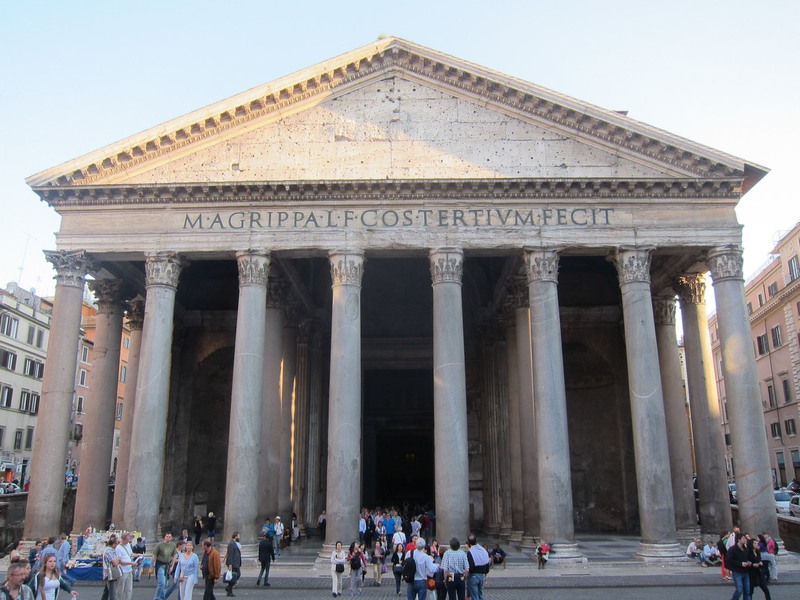 The Pantheon’s distinctive domed roof is visible from afar when standing at Rome’s best vantage points, but nothing compares to actually stepping inside the striking ancient building. The original temple was built by Marcus Agrippa in 27 BC, but the current structure was created by Emperor Hadrian in 120 AD. The temple was dedicated to the gods (the name refers to “all gods”), and engineered with a round hole at the top of the roof to function as an open door to the deities. Illuminated only by the light that filters through the roof, the building’s beauty changes with the sun. 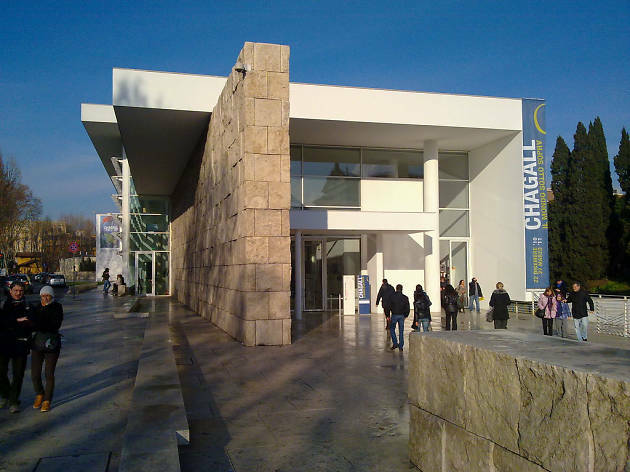 In a city that is usually a mishmash of burnt colours and architectural styles, the Ara Pacis museum stands out for the simple lines of its clean white and glass façade. The museum’s unique structure was designed by American architect Richard Meier in 2006 to act as a home for a single (but exquisite) ancient altar. Dedicated to Pax, the Roman goddess of Peace, the elaborately carved marble structure was once part of a massive complex. Built in 13 BC to mark the return of the Emperor Augustus to Rome, the altar was reassembled in its current location near the Tiber River in 1938. 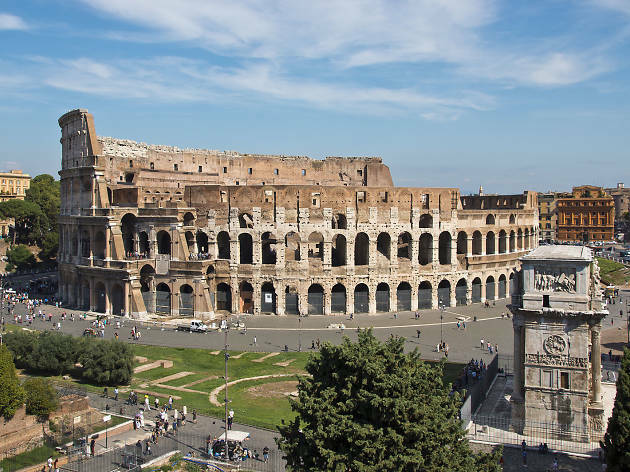 The Colosseum has been Rome’s most recognisable building since it was inaugurated in 80 AD. Even at first glance, it is easy to see why the monument has endured—the smooth travertine curves are irresistibly timeless. In its heyday, the stadium would have been even more impressive because each of the now-empty arched openings was once filled with marble statues. Despite its current toned-down appearance, a recent deep clean has left the stone Colosseum gleaming once more. The view from outside is iconic, but once inside it’s possible to travel into the depths of the arena to explore the ruins—which might be the most impressive vantage point of all. Given complete freedom to design a new Roman neighbourhood in 1917, architect Gino Coppedè was not about to marry himself to any one style. Instead of uniformity, Quartiere Coppedè has beautiful Art Nouveau details, as well as a dash of Greek influence, a few Baroque touches, some clear Gothic inspiration and even a light Medieval effect. 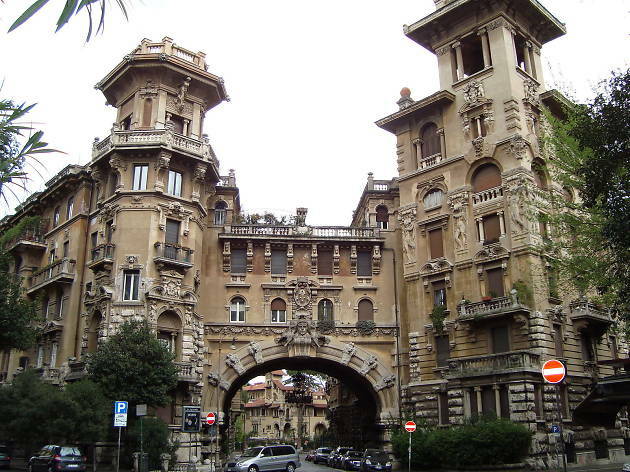 Rather than a single edifice, the area that bears Coppedè’s name is home to a small series of unique buildings that surround Piazza Mincio in the residential Trieste area of Rome. Now private apartments and offices, the gorgeous structures are not open to the public, but the facades are remarkable on their own, as each of the buildings is covered in ornamental details, including some with large outdoor chandeliers. 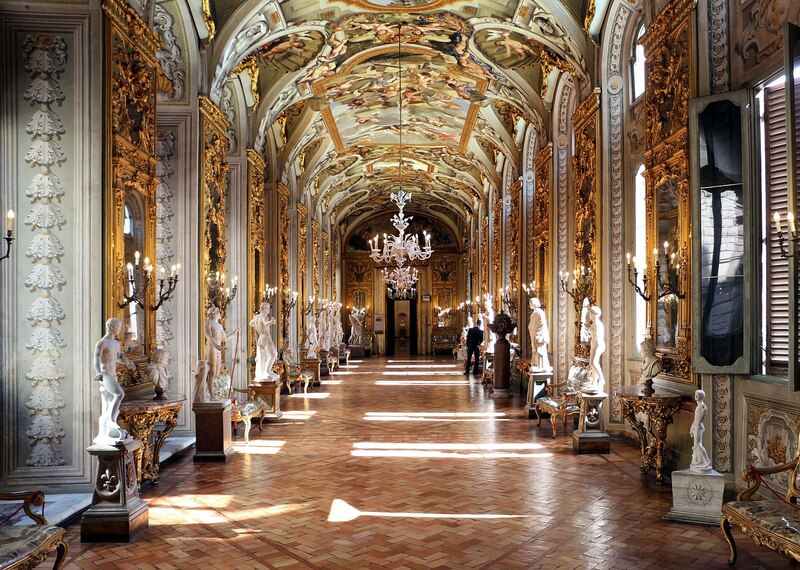 Rome’s Via del Corso is better known for chain store shopping than for art, so most visitors and locals alike walk right past the gorgeous Palazzo Doria Pamphilj, which sits on the busy commercial thoroughfare. The severe square façade hides an enchanting porticoed courtyard, but the true spectacle is in the museum upstairs. Though the main gallery only takes up four hallways, every visible surface is packed with oil paintings, frescoes and marble busts. 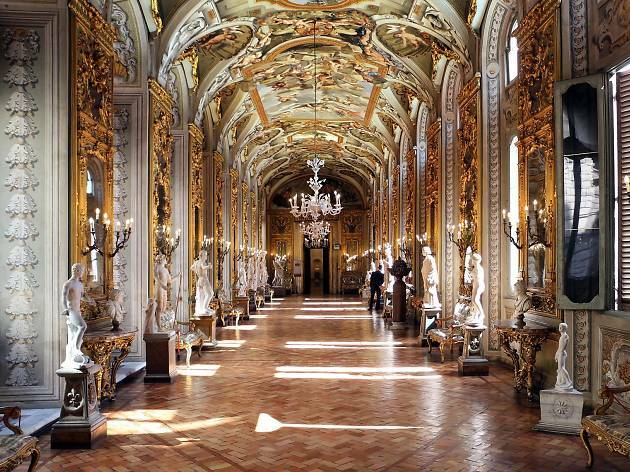 The gilded hall of mirrors is the most breathtaking of all—and its nearly always empty, given the museum’s hidden-in-plain-sight status. Look through the artwork that lines the wall to find paintings by Caravaggio and Tintoretto as well as Velazquez’s famed portrait of Pope Innocent X. 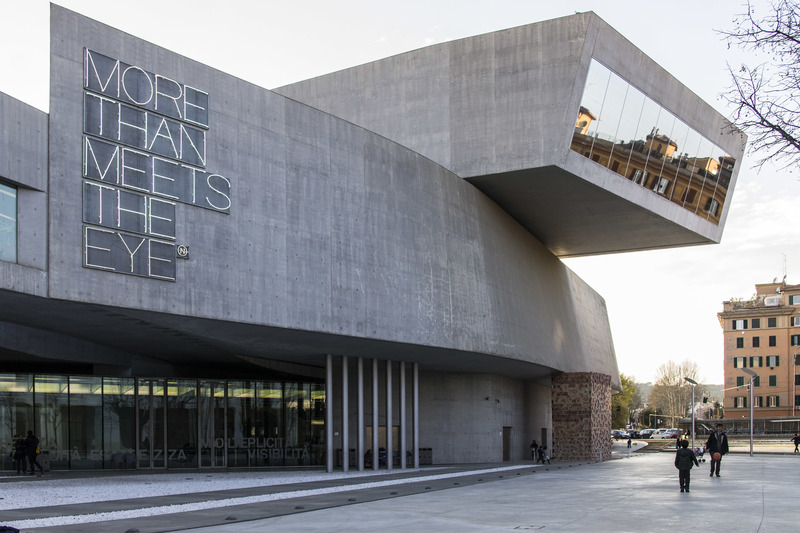 The futuristic concrete and glass walls of the MAXXI provide a fitting home for Italy's National Museum of 21st Century Art. The building was created by legendary architect Zaha Hadid, who won a competition to design the museum. Swooshing staircases and bent metal tubes give the MAXXI an almost half-finished contemporary appeal that is unique in a city of medieval palazzi. 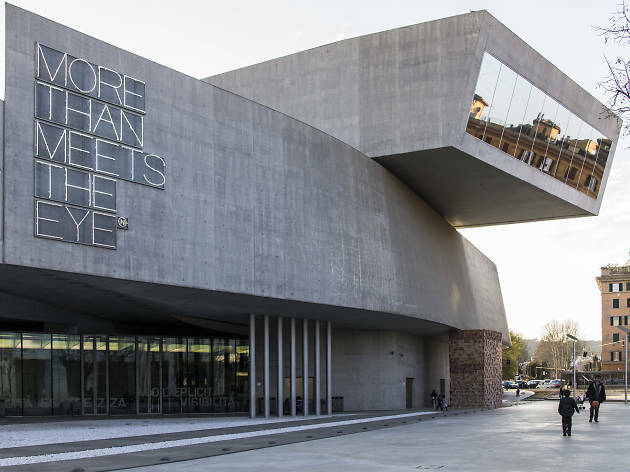 Set in the upscale Flaminio area of the city, the modern focus on the museum draws an eclectic crowd of creatives to explore its two "MAXXI art" and "MAXXI architecture" collections. Most exciting are the large-scale installations of glass and steel, which flow with the dynamics of the already gorgeous construction. Perhaps better known by its nickname “the square Colosseum,” Palazzo della Civiltà Italiana was commissioned by Mussolini for the 1942 World Fair. 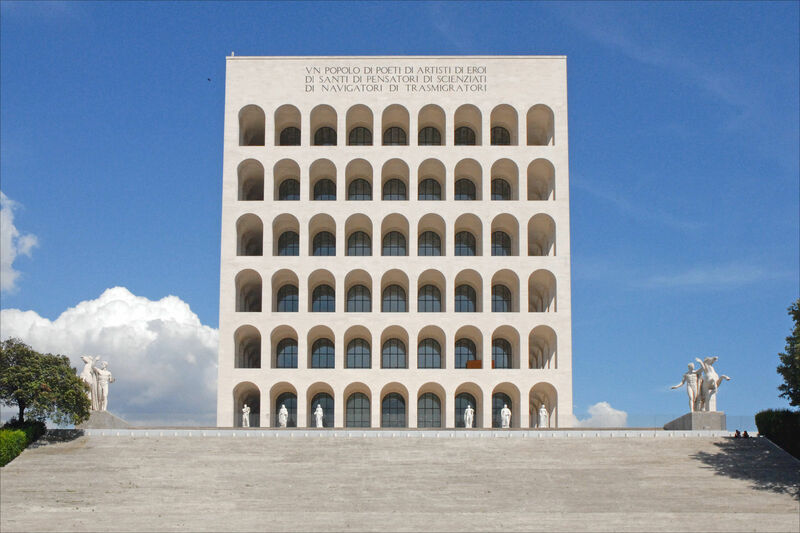 World War II put an end to any plans for a global event, but the arresting building with its obvious fascist architecture still stands in Rome’s EUR district. Much like the symbolic Roman monument that inspired the construction, the building is covered in white travertine marble and has a series of loggias filled with statues running along each side. 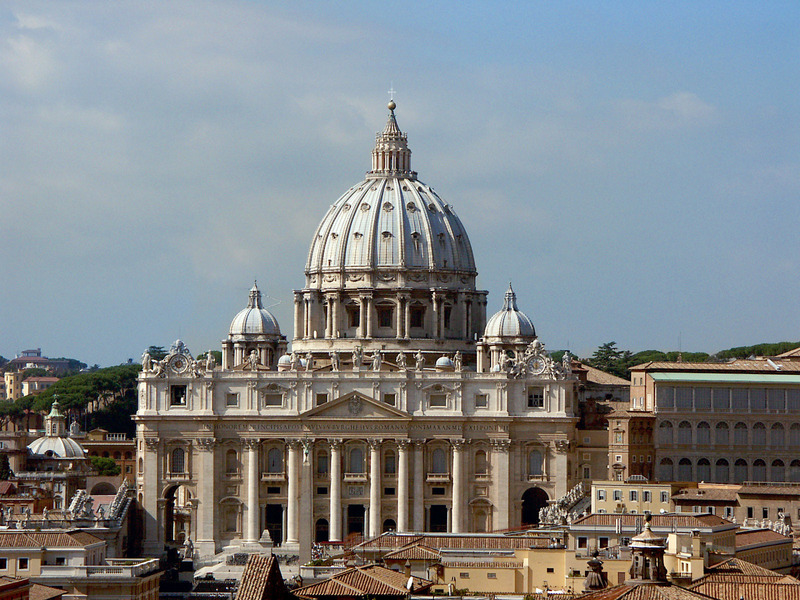 The stark linearity is at odds with the cupolas of central Rome, but there is a contemporary beauty to the structure. The building now serves as Fendi’s headquarters, and it is possible to visit small exhibits that the fashion brand regularly organises on the ground floor. Nicknamed "the wedding cake," the imposing white marble Altare della Patria in Piazza Venezia sticks out like a glorious sore thumb. 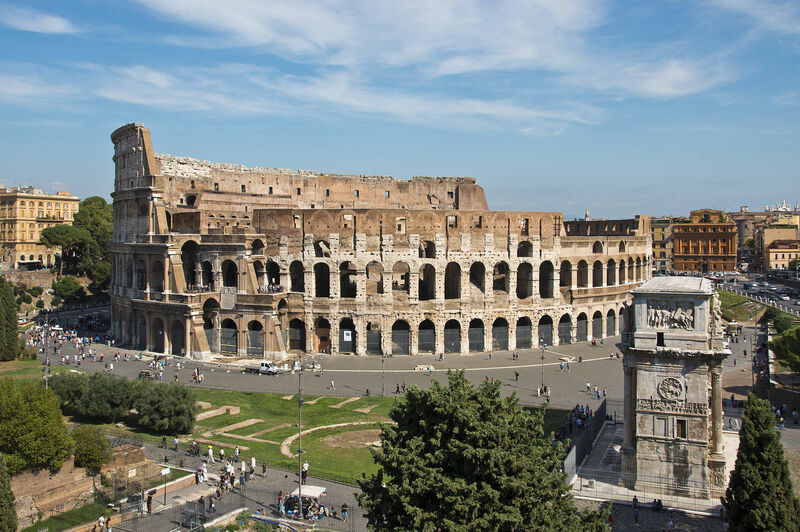 The unmissable monument is just up the street from the Colosseum and Forum but proved quite controversial when it was first erected on the side of the Capitoline Hill. 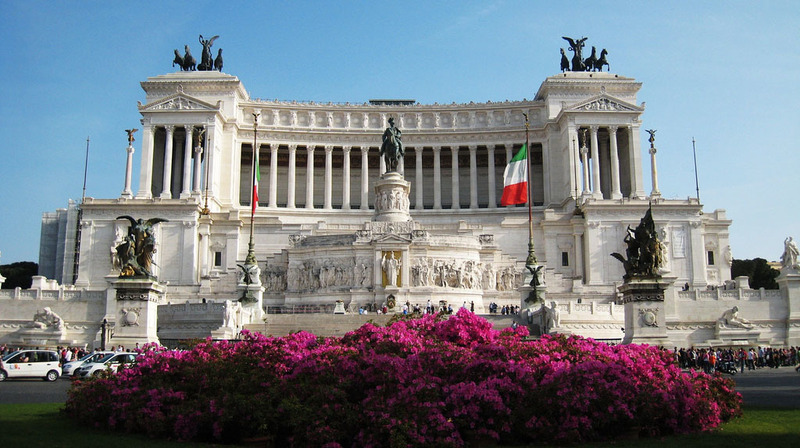 The “Altar to the Fatherland” was built in homage to Vittorio Emanuele II, the first king of a unified Italy. The royal connection gives the commanding white building its more common nickname—Il Vittoriano. 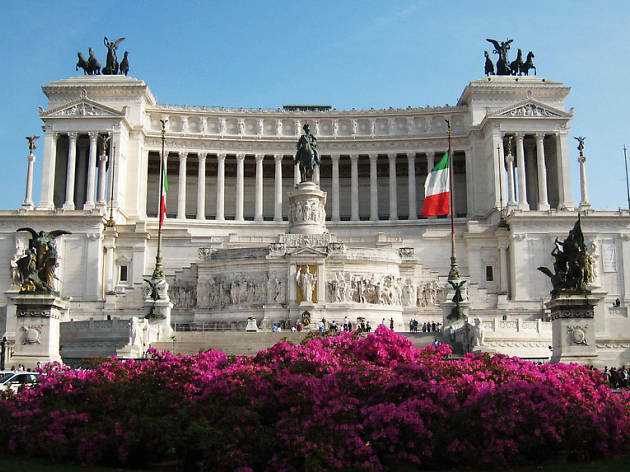 The complex is home to the tomb of Italy's unknown soldier as well as a museum dedicated to the story of the country’s unification. But the prettiest spot is at the top of terrace, which offers views across the city and its ruins. 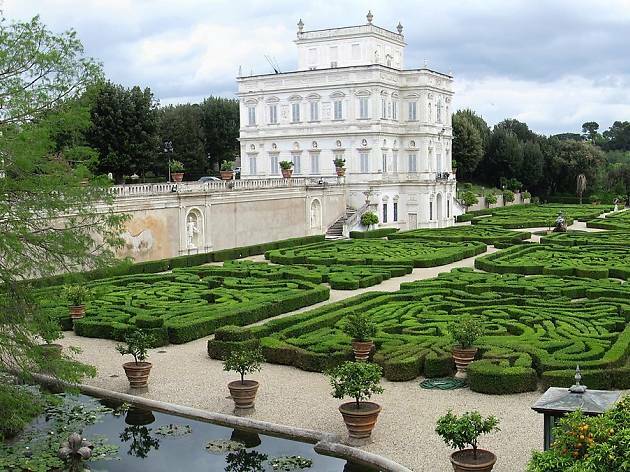 Reaching the Casino del Bel Respiro requires a bit of a hike through Villa Pamphilj, Rome’s largest park. After meandering through fields and under towering umbrella pines, you will finally stumble upon the ornate building as it peeks over the chipped stone walls that surround it. Built in 1644, the stately structure is closed to the public, but it can still be admired from the public park grounds. Rising above intricately swirled hedges, the villa is ringed by decorative carved scrolls and figures—which only hint at the lavish interior that must be hidden away behind the eggshell blue shutters. There are few places in the world that offer such artistic riches, many of them free to enjoy.